Termas de Ro Hondo - Valentino Rossi has admitted to feeling "scared" by the presence of reigning world champion Marc Marquez on the grid, warning that MotoGP could become "very dangerous" should he continue riding as he does. Marquez was handed a 30-second penalty in Sunday's Argentina Grand Prix for hitting Rossi as he tried to overtake on a corner, sending the 39-year-old Italian skidding to the floor on his Yamaha. "I'm OK, but this is a very bad situation," said Rossi, a nine-time world champion. "But from Friday morning on, Marquez did this to (Maverick) Vinales, to (Andrea) Dovizioso, to me, and on Saturday morning, and (on Sunday) he went straight through four riders. "If you start to race like this, you raise the level to a very dangerous point. If all the riders race like this, this will become a very dangerous sport and it will finish in a bad way. "It's a very dangerous situation and I hope that what I said to Race Director Mike Webb makes them take more responsibility, they have to do something. I'm scared on the track when I'm with Marquez. I was scared today when I saw his name on the board." Rossi added: "I'm not Race Direction - they will decide - but like this, he is destroying our sport because when you do 300 km an hour on the track, you have to have respect for your rivals." Honda's Marquez was seen heading to Rossi's box to apologise at the end of the race, but the Spaniard was quickly turned away by the Italian's camp. 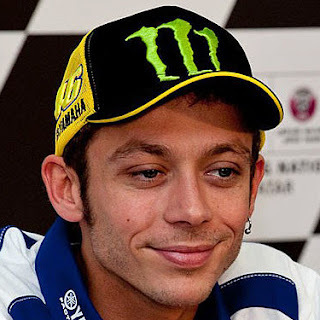 Rossi's team director Massimo Meregalli said: "Valentino was riding in sixth place, behind Maverick, when his race was compromised by Marquez. "Whilst we respect Race Direction's decision to impose a 30sec-penalty on Marquez, we feel his dangerous riding style should be further discouraged for safety reasons and for the sake of the sport." Marquez blamed tricky weather conditions and his attempt to regain lost time due to a marshal's penalty call for the clash. "I obviously tried to push to recover and unfortunately I made some mistakes, the biggest one I believe being with Aleix (Espargaro). I approached faster than him and I didn't realise it. I tried my best to avoid contact but unfortunately, I wasn't able. "I saw the penalty and, to be safe, gave up two positions, not just one, before starting to push again. "With Valentino, it was different, as it was a consequence of the track conditions. I touched a wet patch, locked the front, and released the brakes. I tried to turn, again making my best effort to avoid contact. When he crashed I immediately apologised. "It was a racing incident as happened earlier with (Johann) Zarco and Dani, and then with (Danilo) Petrucci and Aleix." Marquez added: "One thing I know for sure: never in my career has I intentionally hit another rider." Briton's Cal Crutchlow won the race by a quarter of a second from France's Johann Zarco. Valentino Rossi has admitted to feeling "scared" by the presence of reigning world champion Marc Marquez on the grid, warning that MotoGP could become "very dangerous" should he continue riding as he does.